This space is dedicated to you with the aim of explaining what an orthopaedic implant is and the reasons why surgery may be necessary. 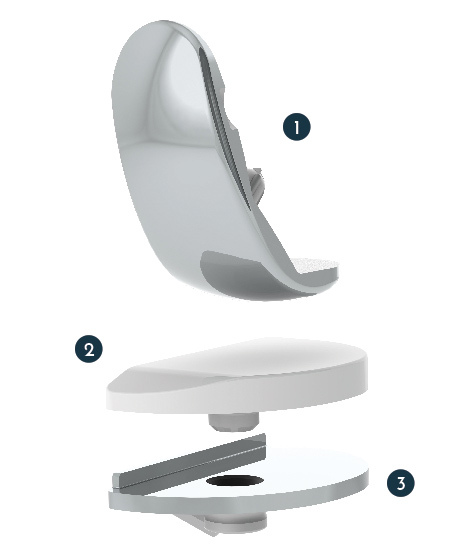 Here you will also find simple explanations about the joints for which our products are designed, allowing you to approach the operation with greater understanding and peace of mind. The information published on this site is precisely that – information – and is not a substitute for an appointment with a practitioner. First introduced about forty years ago, artificial knees are designed to replace bone or cartilage that has been damaged or destroyed. 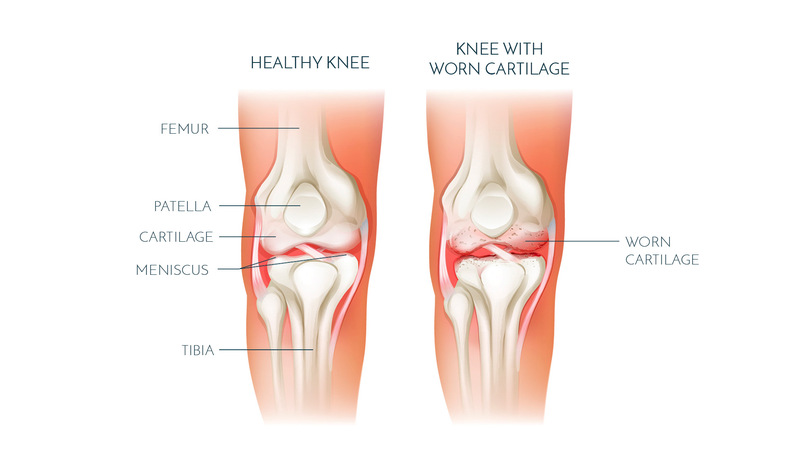 What is the knee joint ? 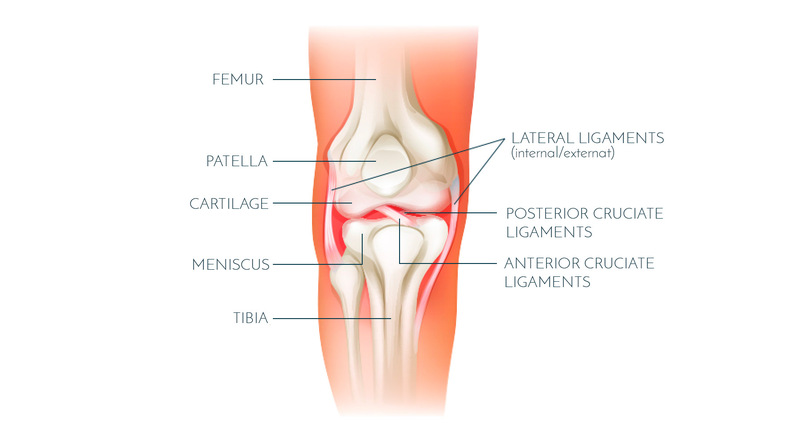 The knee is a joint that brings together the femur, the tibia and the patella. Cartilage, which covers the surfaces of the bones, allows the surfaces of the joint to slide smoothly over each other. As a so-called “hinge” joint, the knee is subject to severe lateral stress, and it is kept stable by the lateral and cruciate ligaments. The meniscus, a small cartilage located between the femur and the tibia, also helps stabilise the knee, acting as a shock absorber. In what situations could a knee replacement be necessary? The surgeon will decide on a knee transplant for patients whose joint cartilage is damaged; this will cause pain and make the joint less mobile. The knee replacement is therefore a solution that reconstructs the joint, relieves pain and restores joint mobility when medical treatment is no longer sufficient. 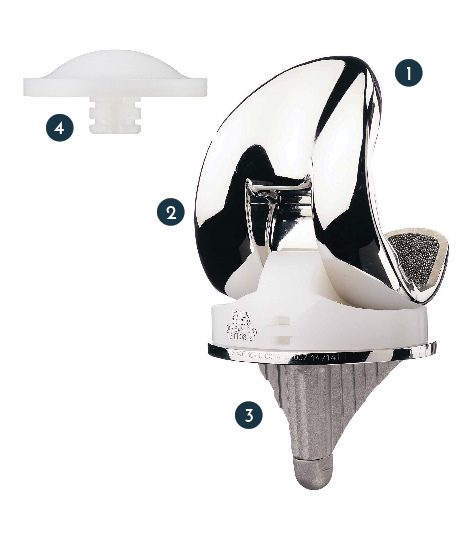 There are two types of implant: a total knee replacement or a partial (or unicompartmental) replacement. 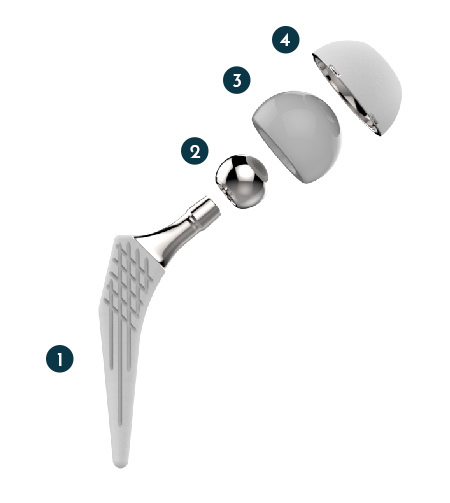 The patellar implant, which replaces part of the patella (but is not always inserted). Only one side of the joint is replaced. The tibial tray, which replaces the internal or external part of the tibia. A total hip replacement is a device that replaces the hip joint when that joint has been damaged. 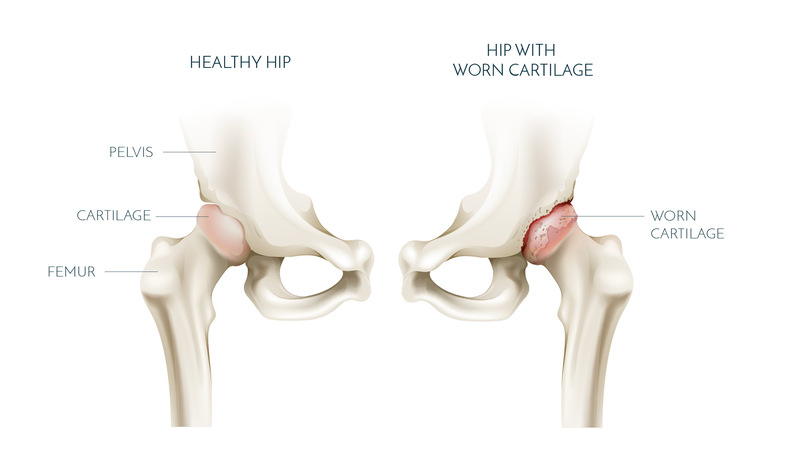 What is the hip joint ? The hip is a joint that attaches the thigh to the pelvis. It consists of the femur, the head of which bolts into the pelvic cavity. The surfaces of the joint are covered in cartilage, which allows them to slide smoothly over each other. In what situations could a hip replacement be necessary? The surgeon will carry out a total hip replacement for patients whose hip joint is worn and as such is causing pain and reduced mobility. The hip replacement is therefore a solution that reconstructs the joint, relieve pain and restores joint mobility when medical treatment is no longer sufficient. The cup, which sinks into the pelvic cavity. Repairing a cruciate ligament is a replacement process performed when the ligament tears following a transplant procedure (crow’s foot tendon, patellar tendon, quadriceps tendon). The aim of the operation is to give the patient a stable knee and thus restore physical and sporting capacity. The anterior cruciate ligament (ACL) is located in the middle of the knee (forming part of the “central pivot”). Located within the notches of the femur, which form an actual cavity in the middle of knee, it runs obliquely upwards, backwards and outwards. The posterior cruciate ligament (PCL) is located just behind it. These two ligaments are “cruciate” (crossed) in relation to each other; when the tibia makes a rotation movement inwards, they tend to move together. These two ligaments keep the knee stable as it moves backwards and forwards and around. In what situations could a cruciate ligament repair be necessary? The ligament most often ruptured is the ACL. It must be remembered that a torn cruciate ligament does not heal naturally. It must therefore be cared for, either by rehabilitation or by surgery when rehabilitation and medical treatment do not have the desired effect. Regardless of how it occurs, rupture of a cruciate ligament must be treated, as if it is not properly cared for, it could lead to arthritis in future. There are currently several different techniques for repairing a cruciate ligament in the knee; the two commonest are KJ and DIDT. What is the difference between those two techniques? The KJ (Kenneth Jones) involves replacing the torn ligament using tissue taken from the patellar tendon. The tissue taken consists of two bony rings. The DIDT (semi-tendinous internal right) or DT4 (semi-tendinous only) involves taking the hamstring tendons to repair the torn cruciate ligament. What implants are used to repair the ACL? These are screws that are introduced into the femoral and tibial tunnels. They help hold the transplant tight between the tunnel wall and the graft. The screw may be metallic (visible in X-rays), but in most cases surgeons will use reabsorbable screws (not visible in X-rays). 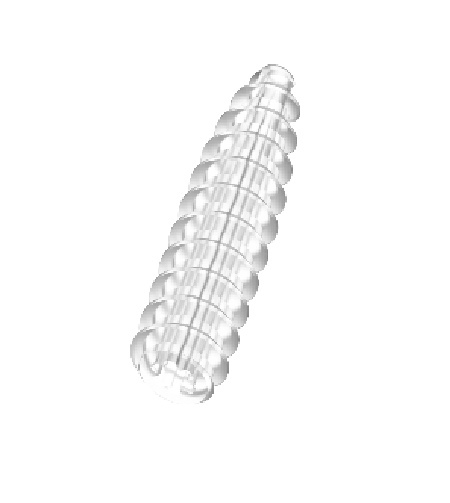 Interference screws come in several different lengths and diameters in order to adapt best to each patient’s anatomy. 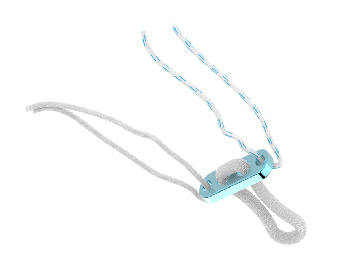 These are buttons mounted with a looped thread that helps pull the graft through the tunnel. Once the graft has entered the tunnel, the button tips and rests on the cortical surface of the bone.